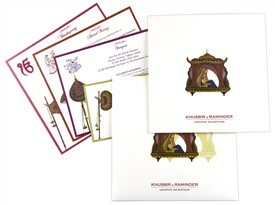 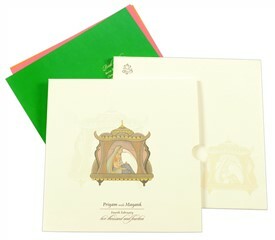 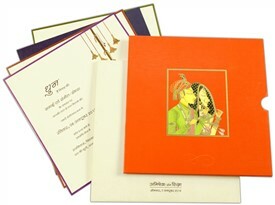 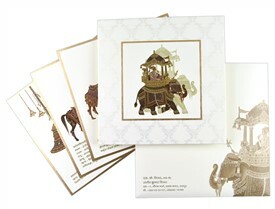 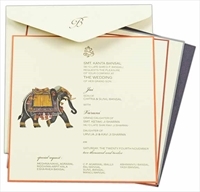 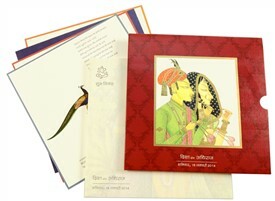 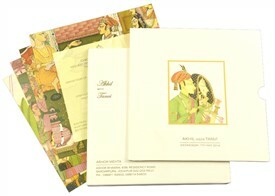 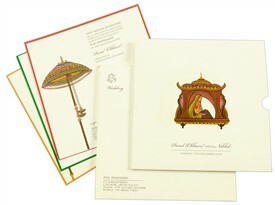 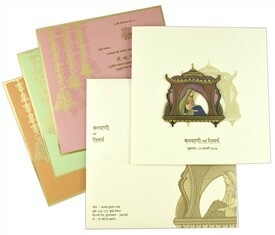 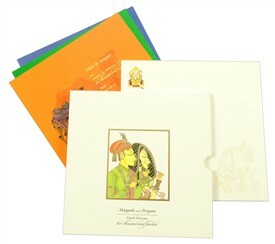 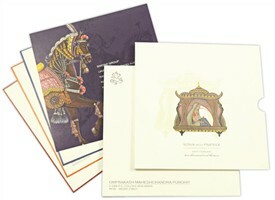 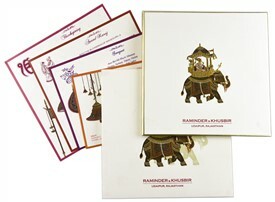 D-6053, Cream Color, Multicolor Offset Cards, Hindu Cards, Exclusive Invitations. 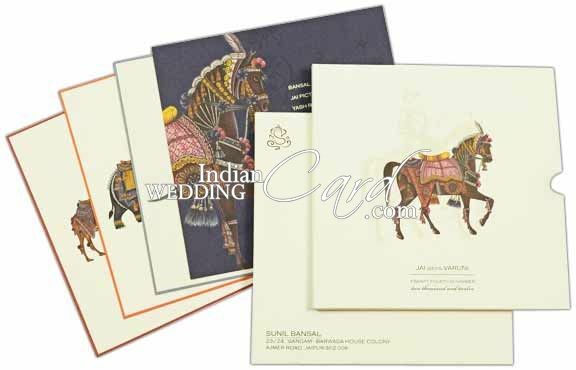 The card front has decorated Horse as main picture symbolizing Boy wedding with bottom part having names of bride and groom and date of event. 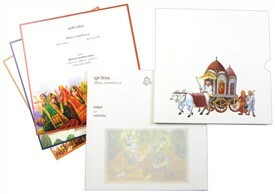 The inserts are multicolor and depict animals such as camel, horse, elephant and peacock with each insert having different color border. 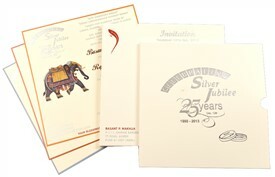 Cream color self- textured paper (250gsm) for pocket style box card, 4 inserts and mailing box envelope. 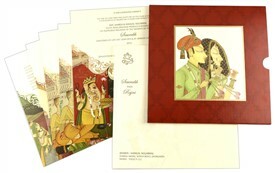 Silk Screen Printing in deep brown color.